Do you want a truck with advanced capabilities for on- or off-road ventures? At first glance, the 2018 Toyota Tundra is sleek and bold, but its construction and available amenities contribute towards the immense power you get with the truck to make your journey to your destinations efficient. An example of an amenity that assists the performance of the 2018 Toyota Tundra are the front brakes the vehicle has. Crafted with 4-piston brake calipers, the brake system can bring your truck to a stop smoothly; even if you plan on towing. Then there are the impeccable engine options you have for the truck. Whether you choose the i-FORCE 5.7 Liter V8 or i-FORCE 4.6 Liter V8 engine, you are in for a thrill. If you decide on the i-FORCE 4.6 Liter V8 engine, your truck will have the capability of reaching an impressive 310 Horsepower. For added power, the i-FORCE 5.7 Liter V8 option can deliver 381 Horsepower! In addition to the powerful engine options you have with the 2018 Toyota Tundra, there are available amenities like Automatic Limited-Slip Differential and Active Traction Control, that aid in the riveting performance of the bold truck. If you happen to travel on terrain that doesn’t provide a lot of traction, the Active Traction Control amenity can step in, and provide the necessary traction to the front and rear axles. Also, for more control of the brake system, Automatic Limited-Slip Differential delivers the appropriate amount of power throughout the brakes; possibly giving you added control over your vehicle. Test drive the 2018 Toyota Tundra today in Bakersfield, CA, and get a glimpse at the astounding performance the truck offers. 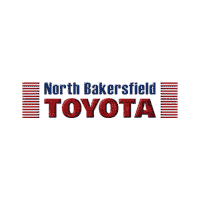 We may have the truck for you here at North Bakersfield Toyota!